As a writer, there may be thousand ideas constantly cross your mind all mixed up like a jigsaw puzzle. Here are five tips to keep those thoughts organized. As a writer, sometimes you have a million thoughts running through your mind and sometimes none at all—either path is okay. If your mind is a constant chatterbox, allow the process to flow and let those ideas go. It may be a bit annoying to never have peace in mind, but those ideas appear for a reason. At the same time, sometimes there is a writer’s block, where not even one thought comes to mind. That is fine as well because it’s the sub-conscience alerting your body to take a break. Don’t rush the process because when you are ready to write, the words will just flow from pen to paper. Don’t worry about organizing just yet. Whatever you do, always have a pen, pencil, or marker handy because you never know when an idea might strike. A pen may be a better option out of the three because sometimes you might not have a pencil sharpener to sharpen the pencil or the sharpie pen may suddenly dry out and your idea might fly right out of the window. For the millennial, always have your cell phone, I-pad, or laptop close to heart for the same reason—to quickly type the idea ready for the cyber world to hear. Don’t worry about organization just yet. As soon as an idea comes to mind, quickly jot it down. It does not matter where you write it or how you write—just write it! Even if you are sitting on the toilet, if you followed point number two above, you’ll be ready to grab that piece of toilet paper or digital software and jot down the idea. Even if it’s a simple thought or two, it does not matter because later it will all make sense. Patience is a virtue, so don’t worry about organization at this point. So by now you have a whole bunch of ideas written on paper, on post-it notes, on toilet papers, and on napkins, but what to do with all of this valuable information? Now is the moment to start organizing. If you are tech savvy, start creating file folders on your desktop by genre or by characters. Similarly, if you are a traditional writer, take the information written on paper and sort them by theme, character, or genre. What will happen is that eventually out of all those ideas, one or two will start to be more important than the other. There will be “that one” that will stand out of the rest and come closer to your heart; that will just feel right. Go with your instincts and follow that idea through. Little by little the idea will mold into a prologue, chapter, opening, and closure; but go back to number one and don’t rush the process. Slowly start to place each piece of the puzzle together until you have the full frame. Follow your instincts and your heart. Once you have organized the concept, it won’t be right the first, second, or third time. It takes patience to get the idea sorted. It’s a constant evolution and will always change direction. Let it settle and walk away for a bit by taking a brisk walk, meditating, going out, hanging out with family or friends, watching a movie, etc. You may not even touch the idea for five months, but if you organize the idea early on, it will make the process that much easier later in the game. Walk away without fear or doubt, but with confidence that upon your return—you will have a masterpiece. 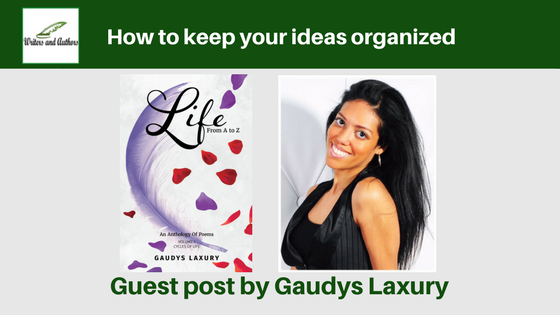 Gaudys Laxury is a visionary autodidact artist, writer, and poet. She studied politics, law, and communications during her graduate years, while incorporating her passions for creative arts. As an artist, Gaudys learned to be open and creative. 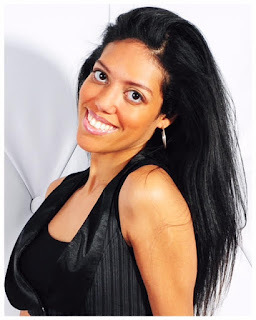 As a writer, she learned that words are the gateway to communicate and inspire lives. As a poet, Gaudys learned the subtleties and transformative discipline of the arts — the power to bring words together and unify on an abstract and metaphorical level; to make us think to the highest virtue. 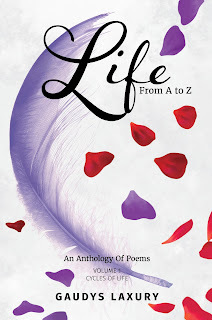 The first book written by Gaudys, The Pearl inside the Orchid, was designed to inspire, channel emotions, and connect readers on a deeper and spiritual level. 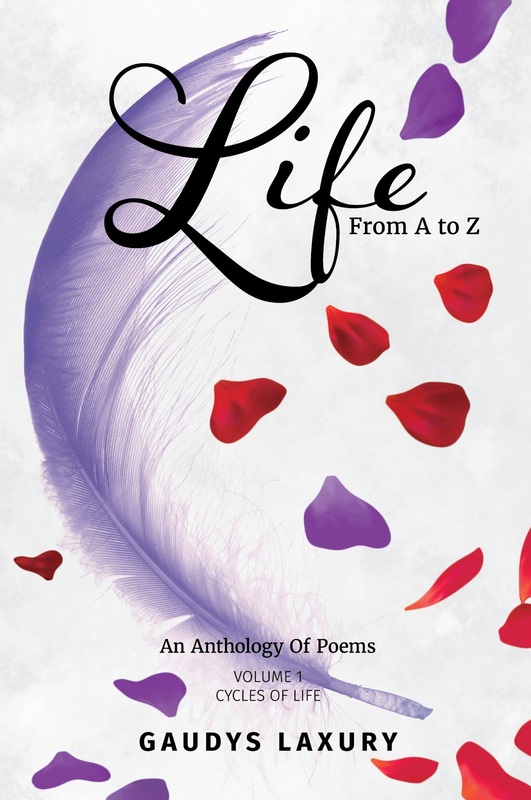 Life From A to Z is her second book, which reflects an expression of life, relationships, and inspirations. Both books have been dedicated to her family and muses.